The dress – Probably the most important part of your day…. Apart from your lovely husband of course. Still not found one? A dress we mean…. As well as made to order in your size, we also offer a huge range of ready to wear gowns at amazing prices , so you could take your dress home with you the same day. The shoes – Blame your next shoe shopping trip on us! We will need you to attend your alterations appointment with the heels or flats you will be wearing so we can determine where to alter the hem of your dress to. Check out our amazing styles by Rainbow club. Made with a sumptuous bliss lining. 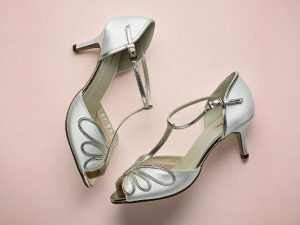 These shoes are made for brides, you can dance the night away and not feel a pinch. 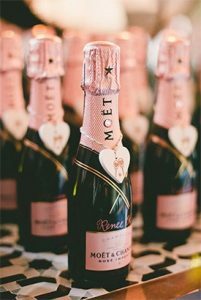 Favours – check out our Instagram @perfection_bridal for some stylespirations when it comes to your wedding tables! 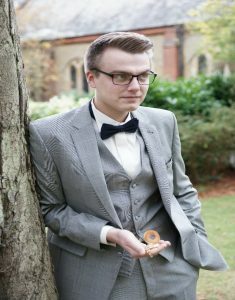 Suits – Get those boys sorted and organised as early as you can. They need military precision and there may well be alterations needed on there tailored trousers also. We have some great deals on Ready to Wear Suits this year also. . N.B Ask one of our stylists to show you our offers on lounge and tails suits. Currently selling navy and black lounge and tails. Photographers and videographers – Capture your day with memories that last a life time. Certainly an investment and one of the larger costs but well worth the pennies, allowing you to have a lasting memory. Ask other brides and look for deals but remember, a good photographer is key when capturing your day. We know a huge array of fantastic photographers in store too. Just ask any one of us for recommendations. We want to help you wherever we can. 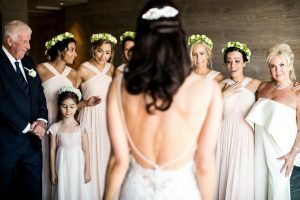 Liz’s favourite photographer is benmooreweddingphotography.com He is amazing and will make your wedding look like something out of Vogue. Cake – There are so many amazing things you can do with a cake. 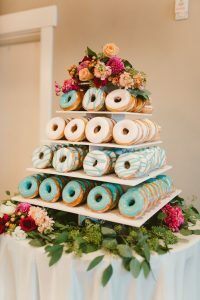 Cake alternatives donuts, eclairs or even a cheese tower!